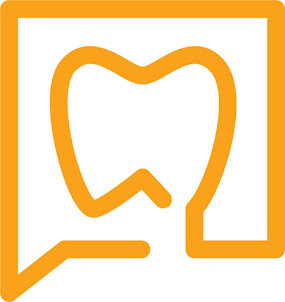 The Endo Blog: The Blame Game - Root Canal Failure? I recently completed a diagnostic excavation on this tooth and determined that it was non-restorable due to decay under mesial crown margin and into the pulpal floor of the tooth. The findings of the implant surgeon indicated a "failed root canal" as the cause for extraction. It is well known that a common reason for endodontic failure is root canal recontamination caused by coronal leakage. 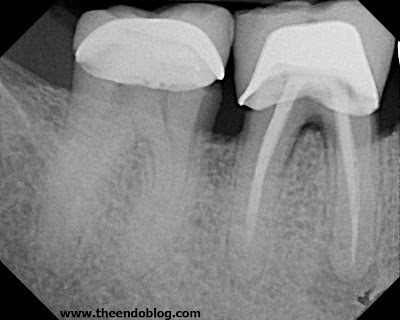 If coronal leakage allows bacteria to re-enter the root canal system, then did the root canal fail or did the restoration fail? In this particular case, when rampant caries is found under the crown margin and extending into the pulpal floor, it is more accurate to say that extensive recurrent decay is the reason the tooth is non-restorable requiring extraction. A review of the root canal history also confirms that endodontic therapy was successful. This pt presented in 2006 with an prior rct & acute apical abscess. Retx was recommended. A periapical lesion is noted on the distal root. In 2010, the patient returns with symptoms. The distal lesion has healed, and the mesial margin of the crown shows leakage. It is recommended to remove crown and excavate decay. The radiographic history would indicate that the endodontic retreatment performed in 2006 was was successful with healing of distal lesion. When a tooth is to be extracted, a proper diagnosis should be given. This patient came to our office today for consultation. Pt reports that RCT was done many years ago without any issues. Last year he traveled to Mexico for some dental work. The crowns were placed on #30 & #31. A periapical lesion has now developed on the mesial root of #30. My diagnosis is: prior RCT w/ symptomatic apical periodontitis. Coronal leakage is identified radiographically on mesial and distal margin. In this case, you could easily say the root canal failed. 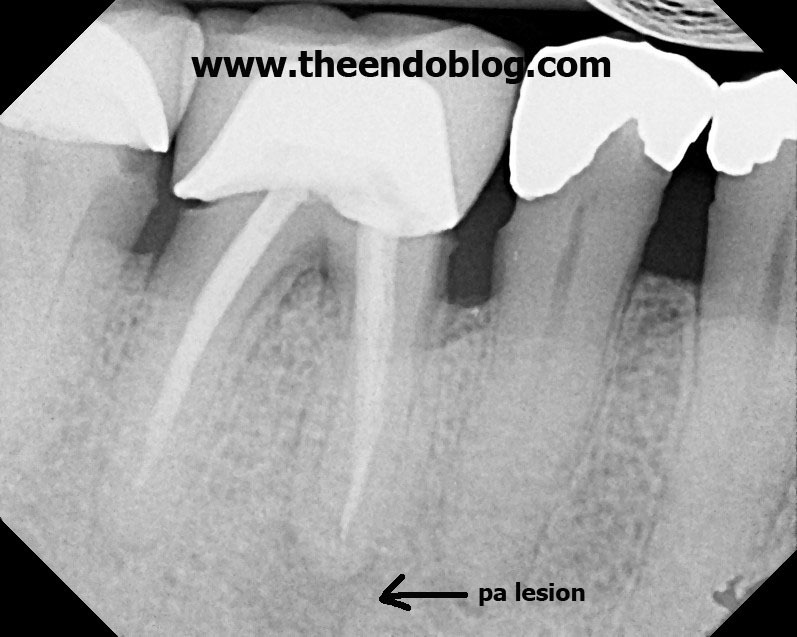 However, the inadaquate coronal seal on #30, in my opinion, is just as likely the cause for the periapical lesion on the MB root. A proper diagnosis does not cast blame. It objectively reports current findings and indicates the reasons for recommended treatment. Unfortunately it's human nature to cast blame. This is what endodontists have to put up with on a very regular basis...when the restoration fails, fingers are often pointed back at the root canal. Thanks alot..this is what i was searching..really cool.. If only most practicing endodontists were to follow these guidelines for factual, problem-solving, forward-looking dentistry. For better of worse, the endodontist is only part of the case. The other is the patient and his/her trust, which plays a larger role than in other parts of dentistry...inviting the blame-game.